The Best Modern Architecture Blogs from thousands of Modern Architecture blogs on the web using search and social metrics. Subscribe to these websites because they are actively working to educate, inspire, and empower their readers with frequent updates and high-quality information. Modern Architecture newsletter is a comprehensive summary of the day's most important blog posts and news articles from the best Modern Architecture websites on the web, and delivered to your email inbox each morning. To subscribe, simply provide us with your email address. About Blog Residental architect, commercial building architect and modern interior designer; Angie Lane writes from her unique perspective about midwest modern design and contemporary architecture. About Blog Architectural Digest is a vibrant monthly celebration of international design talents, innovative homes and products, inspiring decorating ideas, culture, and travel. Launched in 1920 as a California trade quarterly, the magazine evolved over the years, increasing in frequency and broadening in scope until it became the byword for living well. Facebook fans 4,259,395. Twitter followers 1,952,761. Facebook fans 1,015,429. Twitter followers 919,951. About Blog Design Milk is a design blog featuring interior design ideas, architecture, modern furniture, home decor, art, style, and technology founded by Jaime Derringer. Facebook fans 879,207. Twitter followers 2,256,955. London About Blog The Modern House meets the growing demand for exceptional living spaces of all kinds, including lofts, factory conversions, architect's own homes, and period houses with excellent extensions and superior interiors. Facebook fans 11,647. Twitter followers 12,752. About Blog This blog is all about promoting a positive culture through thought-provoking articles on art, design, photography, architecture, technology, environmental issues, and inspiring stories. Facebook fans 3,608,066. Twitter followers 295,583. London, UK About Blog Decoist is an interior design and architecture blog that promises to deliver fresh new inspiration for your interior design and architecture projects. Facebook fans 565,675. Twitter followers 13,317. New York City About Blog The blog has evolved into a leading authority on design, and is focused only on the most recent works in regards to architecture, interiors, furniture, and products. Facebook fans 12,038. Twitter followers 1,931. Boston MA About Blog Rethinking architectural illustrations and avoiding over complicated and lengthy rendering times. This site focuses on Photoshop techniques and is constantly experimenting and iterating with ways to generate unique and expressive imagery. Facebook fans 56,880. Twitter followers 3,941. San Diego About Blog Modernism through the eyes of an architectural photographer. Facebook fans n/a. Twitter followers 407. Washington, D.C. About Blog Modern Capital is dedicated to covering mid-century modern and modern real estate, design and events in the D.C. area. It also is committed to raising awareness and supporting efforts to preserve the region's MCM architecture. Facebook fans 1,328. Twitter followers 1,382. 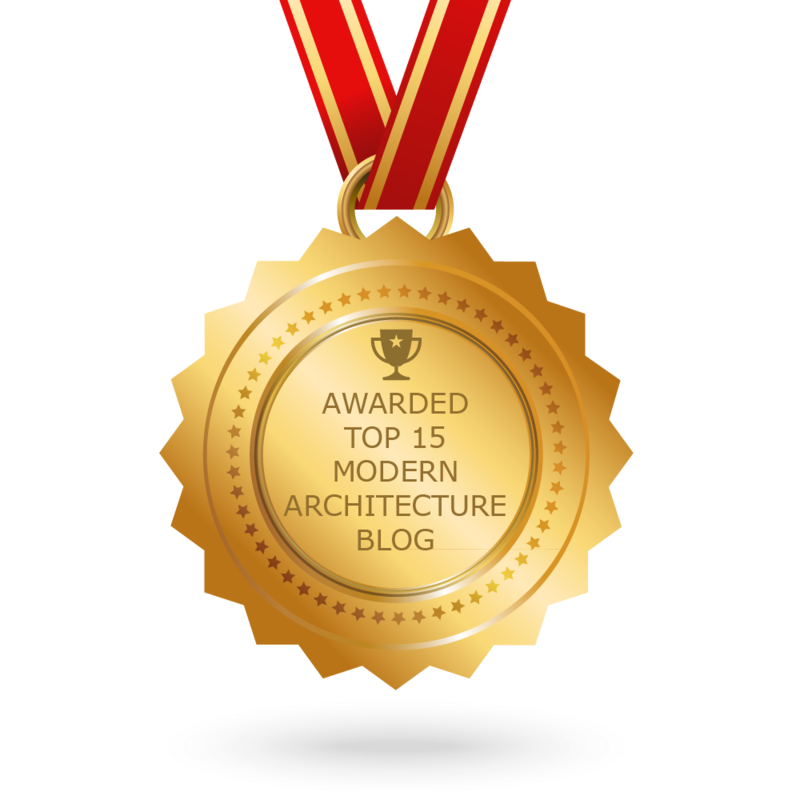 CONGRATULATIONS to every blogger that has made this Top Modern Architecture Blogs list! This is the most comprehensive list of best Modern Architecture blogs on the internet and I’m honoured to have you as part of this! I personally give you a high-five and want to thank you for your contribution to this world.